We had decided that our last visit of the year would be a trip to Cotehele to see the garland. A big thank you to Carol Williams for organising what turned out to be a most enjoyable and leisurely day. Fourteen members of the group travelled on the Lerryn Area Minibus driven by Annie Singer and by the time we got to Cotehele, the weather was dry and very mild as there was not a drop of wind. In fact, we had better weather than on some of our summer outings! We got to Cotehele by 11.45am and Carol had booked us to listen to some Carol Singing at 2.00pm. So, we had plenty of time to visit the WWI exhibition, the Art Gallery and the National Trust shop, go round the garden, admire the garland and of course have lunch! This year is the 60th anniversary of the garland and one of the gardeners explained that, as it is a diamond anniversary, they had chosen more subdued colours than usual to reflect the theme. There were indeed plenty of blue, silver and white dried flowers. The honesty was very effective and glistened in the light. The garland consists of 39,120 dried flowers, all grown at Cotehele. At 2.00pm, we were entertained by the Tregadillett Songbirds who sang famous carols as well as some less well known. Those of us who knew the words were able to join in. It was the perfect end not only to our visit but also to our garden visiting year. We are all looking forward to next year’s programme. Our next planning meeting will be on Monday 6th March 2017 at 10.00am in the Royal Oak. We will confirm arrangements for our planned visits. Ten members made their way to Marsh Villa Gardens in Par either by train or car. What a surprise and pleasure, for those who had never been before, to enter this garden sandwiched between a busy road and the main railway line and to find such a haven of tranquillity. We were warmly welcomed by the charming owners Judith and Harvey Stevens and before letting us lose on the 3 acre site, they told us about the history of the property who had been in Harvey's family for several generations. 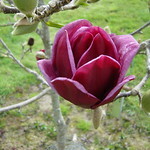 It was interesting to learn that the garden lies in a former tidal creek which therefore used to flood very regularly. 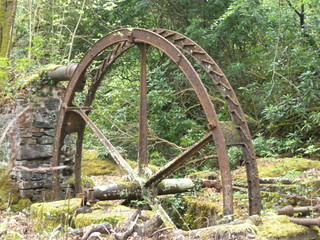 Rubble had been used at some stage in the last century to raise the ground level in order to stop the flooding. When we walked into the marsh garden having walked through the river garden, we did indeed notice the difference between the level of the marsh garden and that of the main garden. Now we know where the garden got its name from. The inspiration for the start of the garden came from Judith, who, with her husband Harvey, had been farming on Bodmin Moor. When they came to take on the family home at Marsh Villa , Judith was horrified by the semi – urban surroundings and immediately set about importing any available top-soil and planting trees to provide privacy. This was thirty years ago. Now mature trees, many of interest, provide the structure. 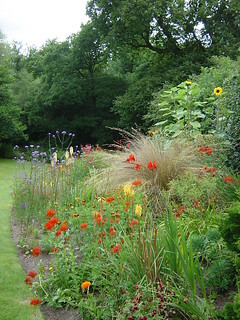 Paths meander through glades and under planting of many shrubs and colourful herbaceous plants. A large pond at natural water table level was splendid with water lilies and prolific marginal planting, with a shady summerhouse to sit and admire the view. In fact plenty of seating was conveniently placed in sun and shade around the garden. Behind newly planted yew hedging, replacing old Escallonia was a formal garden with central rose arbour and herbaceous borders. Paths went out at the lower level to wander through the marshland – fortunately dry underfoot at this time of year! We ended our visit with tea and cake in the shaded courtyard of a converted barn. Although some drizzle has been predicted, once again the weather was kind to us and enabled the eight members who had signed up for this visit to thoroughly enjoy their afternoon visit to Hidden Valley Gardens in Treesmill near Lostwithiel. Amazingly, although this is one of our closest gardens, only two members had ever visited. Maybe it is due to the fact that you have to drive down a long narrow country lane to get to this hidden gem. The good news is that once you have made your first visit, you get a free pass enabling you to visit as many times ad you want for the rest of the year. This is definitely a "garden for all seasons" worth visiting any time of the year. During our guided visit, the areas which were at their best included: the Hot Border, the Agapanthus Border, the two rows containing a collection of dahlias and another with a collection of crocosmia as well as the four square beds with mainly herbaceous plantings in yellow, lavender, blue and white. We also admired the new wildflower "circles" originally inspired by the planting in the Olympic Park. During our visits, we are equally interested in the owners' story. Tricia and Peter moved to their hidden garden in November 1999. They moved from a cold dry garden near York and brought over one thousand plants plus the small greenhouse and the solar shed - it all took more space in the removal van than the furniture! Their initial years were spent creating the design, moving soil, putting in drainage and trying to eradicate pernicious weeds and bramble. They also needed to add visitor facilities appropriate for opening the garden, as well as installing a watering system and work area with a large greenhouse. The result of Tricia and Peter's hard work is truly stunning: an informal cottage garden with lots of herbaceous perennials and self-seeding annuals. They grow flowers for pollinating insects and encourage wildlife. 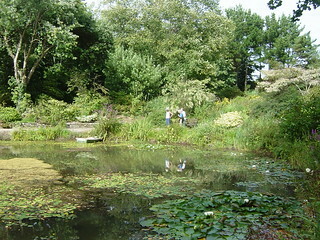 The pond and grass area are also important part of their wildlife objectives. There are also fruit trees as well as raspberries and blackcurrants (PYO). The Garden has started to win awards, deservedly so. 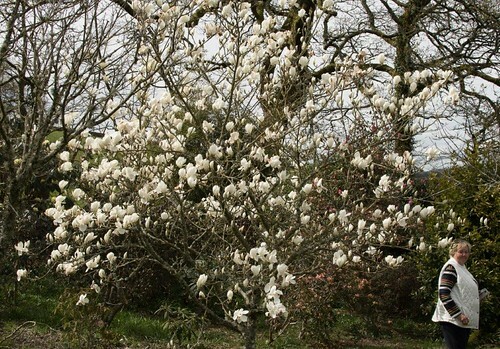 In 2014, it was one of three runners-up to Heligan as the "Cornwall Today" "Best Garden" in Cornwall. More photos taken during our visit may be viewed on our flickr page. We finished our visit with tea/coffee and cake - the lemon fairy cakes were yummy! To cancel or not to cancel in the light of the weather forecast was very much the question on my mind right until we met in the Lostwithiel Community car park. 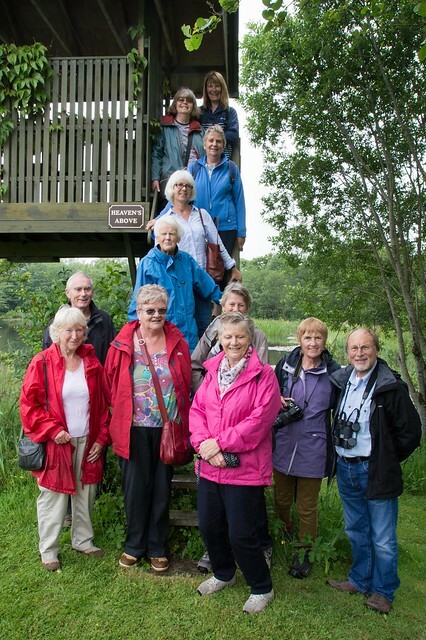 I am so glad that, ever the optimist, I decided to go ahead as the group of 13 U3A members (including four from the Photography Group) who made this visit spent a fantastic afternoon at Lethytep, a stunning wildlife haven right on our doorstep, yet unknown to many in the group. It was my fourth visit and I never tire of it. And, yes, the weather was kind to us! I must say from the outset that the report which follows will not do credit to Lethytep, as I will find it difficult to translate into words the beauty of the natural word that we witnessed. Philip Hambly, the owner, took for a two-hour tour of the 52 acre property which since retirement, he and his wife Faith, have transformed into habitats for wildlife. Our tour took us through his neighbour’s tree plantation (over 8,000 trees), two of the wildflower meadows, an ancient woodland, a riverside walk along the Trebant Waters (the river which flows into Penpol Creek) and three ponds. We could not believe our eyes as we went down into the woods today and we saw a group of teddies having, you have guessed it, a picnic! Philip and Faith have been recording the flora and fauna for several years and they informed us that to-date their records show 24 butterfly species, 101 bird species and over 100 species of plants. One of the most spectacular sights during the tour were the thousands of Southern Marsh Orchids which flower in the meadows from late May to early June. After walking around the large ponds bordered by yellow irises and ragged robin and having admired the different variety of water lilies that grow in them, we signed the visitors’ book in the summer house and admired Philip’s talent as a photographer. His photos taken across the seasons of the wildlife that inhabit Lethytep were stunning. We did see some fauna including a grebe feeding her chicks on one of the ponds and …a wallaby…which had escaped, we all presumed, from the Porfell Wildlife Park - the first time it had ever happened! Was this the latest recruit to the U3A Garden Visit Group? 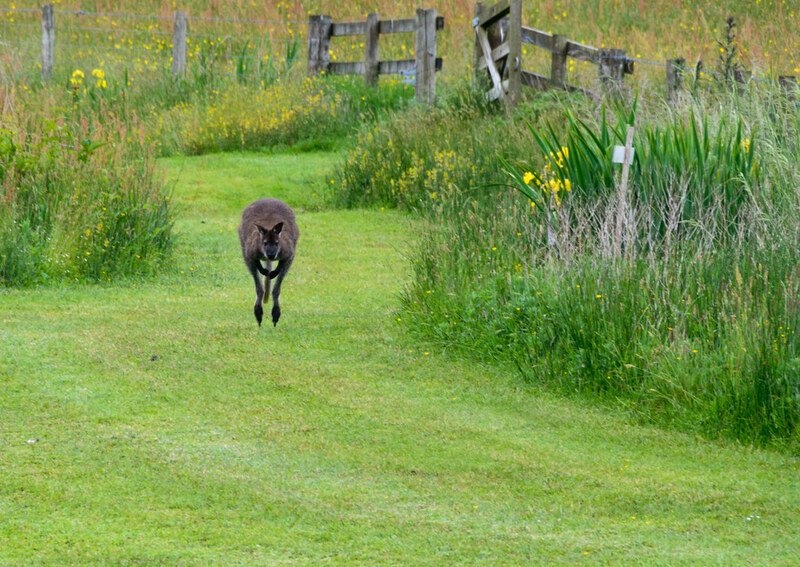 He hopped away before he could be challenged to show his membership card…. At the end of the tour, we were treated to a very generous and scrumptious afternoon tea. The money raised by our visit will go to Philip’s and Faith’s chosen cancer charities. Thank you Philip and Faith for your time, generosity and inspiration! 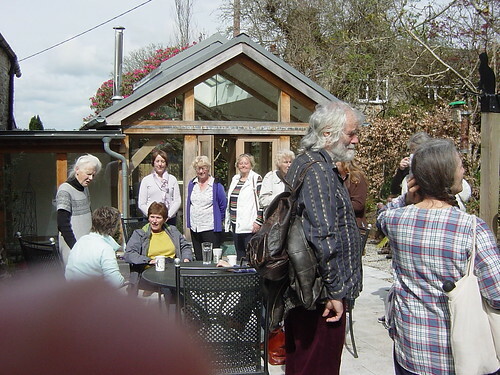 Three cars and 9 U3A members all met up at Poppy Cottage Garden. We were greeted by the very enthusiastic owner, who gave us an introductory talk, plus coffee and cake, before letting us loose. It is a relatively small, relatively young garden packed with many, many plants, with an excellent choice of plants for sale. After King Harry Ferry and a lunch break at Trelissick, our convoy arrived at Enys Gardens, by contrast a large and ancient garden which is now having some serious improvement. The highlight at Enys at this time of year is their bluebell field which provided a glorious display. Click here, or on image above, to see a selection of photos from our visit. I draw members' attention to the following event. This is not a U3A outing but members might want to take part. 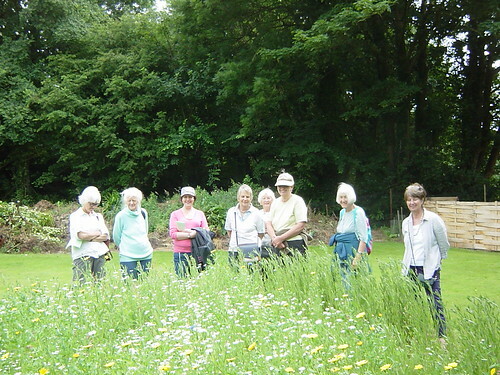 Fourteen members of the U3A Garden Visits group took part in this first visit of the year. The Bucknell family had opened their private garden to our group to support their fund raising efforts for St Veep Church: we donated £5.00 each for the visit and the money raised will go to the St Veep Church bells appeal. Thankfully, the Spring showers that the weather forecast had predicted did not materialise and after a dull start, our visit was blessed with glorious sunshine. Our hosts were very generous with their time. 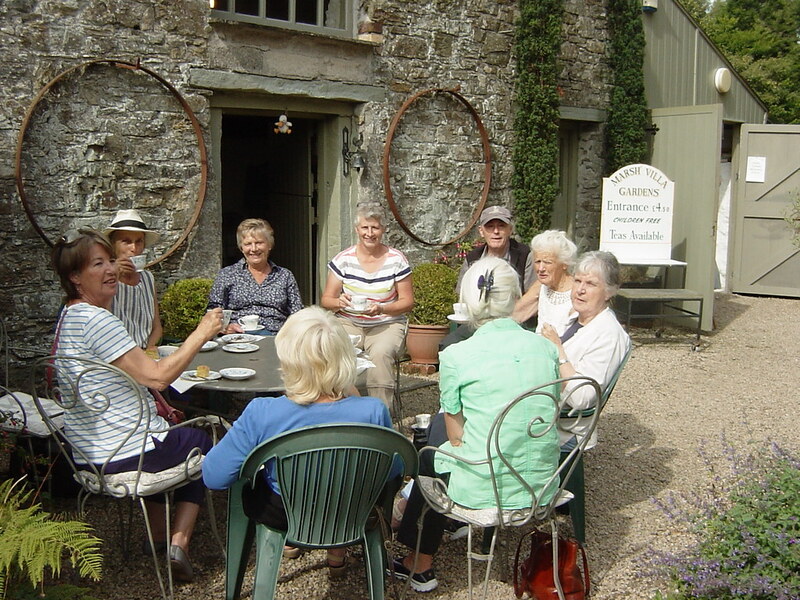 After a mug of coffee/tea accompanied by yummy cakes, Pat, Peter and Jo their daughter took us for a guided walk lasting a good hour and half around their four acre garden. Peter and Pat moved to Botallick in 1993, when they bought the Farmhouse, Barns and 14 acres of land. It had been a working farm with very little garden. The main plants were two large Cornish Red Rhododendrons and some Hydrangeas. They were very keen to establish "A Cornish Garden" with Rhododendrons, Camellias and Magnolias but they also wanted other trees and shrubs to give colour all year round. They started planting around the house and as their interest grew more areas were planted. They purchased another three acres in 1996 and now the garden extends to about four acres. There is also an orchard with over fifty varieties of Cornish and Tamar Valley apples together with cherries, pears, plums and damsons. Their daughter Jo, husband Ian and two grandsons moved from Tunbridge Wells to Cornwall three years ago and now live in the main farmhouse while Peter and Pat have converted a small barn for themselves. They share the garden and maintain it together as a family. The views from the higher parts of the garden over the surrounding countryside are stunning! see at every bend in the garden, especially the “ mini gardens” within the garden, for example the walled summer garden with its water feature, the millpond, the wild flowers meadow with its daffodils, primroses, fritillaries and bluebells, the orchard to name but a few. What is impressive is that Peter and Pat had had the vison to see what could be created in this garden and that they have achieved it on their own without the help of professional gardeners. In fact, professional gardeners from the National Trust and other organisations visit the garden for advice and no doubt for inspiration too. The family exhibits under the name Bottalick at many shows, including the Cornwall Garden Society Spring Flower Show at Boconnoc and the RHS show at Rosemoor. This year at Boconnoc , and not for the first time, the family won a trophy for the most points in the camellia section – a well-deserved recognition for their hard work. We all left truly inspired – what a fantastic start to our garden visiting season! The first meeting of the group in 2016 will take place on Thursday 24th March at 10.30am in the Community Centre when we will put together our programme of visits for the year. Come and join us for a drink and toasted tea cake! In the meantime, keep your diaries free for Wednesday 13th April and Friday 10th June. All shall be revealed at the meeting!